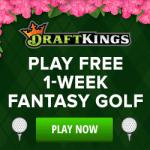 Draftkings is one of the largest fantasy sports providers, offering users a chance to win money in paid entry contests or playing in free leagues with family, friends or co-workers. No matter your level of sports knowledge, you can learn and test your knowledge against others. 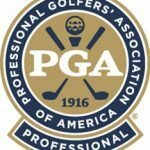 Whether you play for free in leagues or enter a paid contest to win money, you can learn about the sport and have fun. 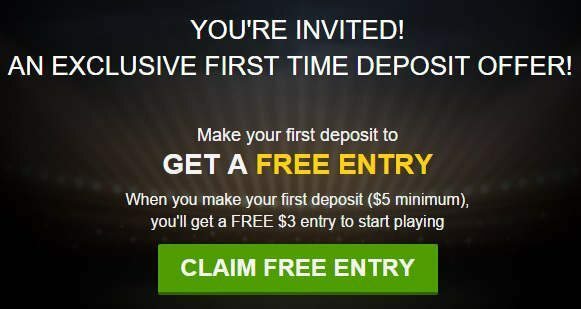 The current DraftKings’ promotion is for new users to receive the “FREE $3 ticket to play in any $3 paid contest.” To receive the free ticket you must make an initial deposit of $5 or more. This ticket will remain valid up until a year of your initial deposit. No promo code is necessary. Do not enter a promo code, you will still receive your free ticket. You can use the FREE ticket to compete in some of the $3 contests they offer. This gives you a chance to win money with the FREE ticket you receive once your sign-up process is complete. You can leave the promo code field empty since it is not needed to receive your free $3 entry ticket. 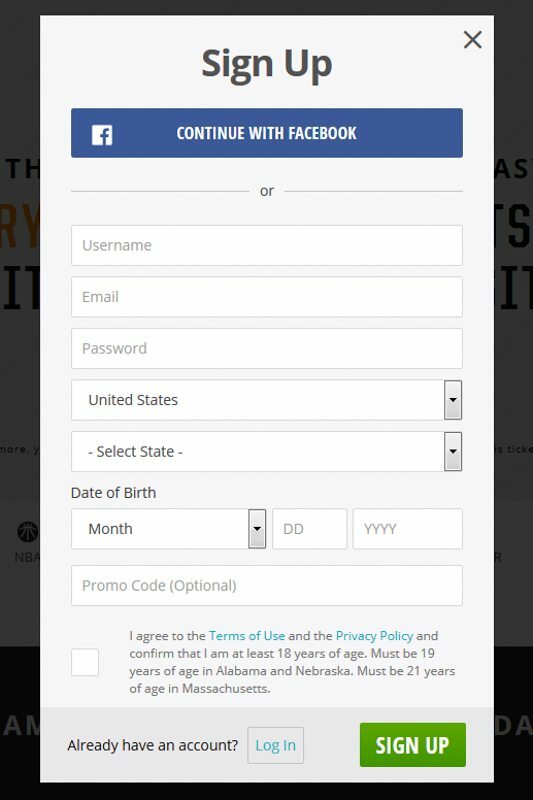 Press the “Sign up” button when you are ready. This will send you a confirmation email to complete your sign-up process. 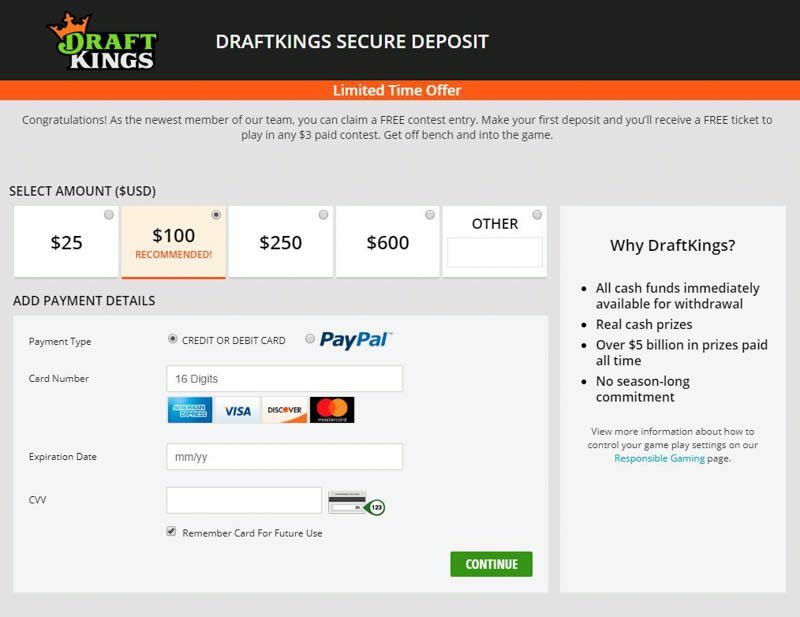 Currently, DraftKings only accepts customers in the United States and Canada. If you live in Arizona, Iowa, Louisiana, Montana and Washington, state laws restricting cash prizes will prevent you from registering. To get started on your first deposit, you must deposit from a real money account. Your options are PayPal accounts, Credit Cards (American Express, Discover, MasterCard and Visa) and Debit Cards. You have the option to deposit $25, $100, $250, $600 or Other. If you choose “Other”, you can specify any amount, with a $5 minimum. After you complete your deposit, you will receive your free ticket to enter a $3 contest of your choice. DraftKings has two game formats. The first is “Contest”, which gives you the opportunity to compete against others to win money. The second is “League”, which is good for competing in a private setting. If you want to play against friends for free, you can create and join a private “League”. Here you can set up scoring and other rules for your “League”. Once set up, you can email and invite them to your private “League”. Here you can compete with your friends for bragging rights. If you are beginner, you can enter contests that are in the “Beginner” game type. Only people that played less than 50 contests can enter these games. In many of the contests, you do not need to have the highest score, just finish in the top bracket as describe in each contest’s “Contest Detail” tab, that shows the prize payout breakdown. You can also enter contests that are open to a larger field. When you click a contest, you can see the entrants as well as their DraftKings’ experience by looking at their Experience Badge icon. Besides “Beginner”, DraftKings also has other with to designate a players experience level with an Experience Badge. A “Casual” user is someone who has entered 50-499 contest. There are also “500 Contests” users (500-999 Contest entered), “1,000 Contests” users (1,000 and more). 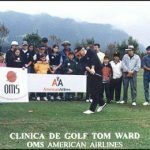 To differentiate big winners, there is “Big Win” (won $1,000 in at least 3 contests or won $2,500 in 5 contests), “500 Plus Big Win” (500 contests and won $1,000 in at least 3 contests / won $2,500 in 5 contests) and “1,000 Plus Big Win” (1000 (500 contests and won $1,000 in at least 3 contests / won $2,500 in 5 contests). If you play DraftKings frequently, you will be rewarded with “Frequent Player Points”, aka “FPP”. This loyalty program gives you additional chances to enter paid contests by purchasing tickets with your earned FPP. You can receive FPP everytime you enter a paid contest. The current rate earned is 1 FPP for every $1 you spend. If you enter a $3 contest you earn 3 FPPs. Enter a free contest, get 0 FPP. Besides having a higher prize payout for higher entry contests, you earn more FPP. Also playing more, increases your FPP total faster. There are also “Missions” that allow you to earn extra FPPs. The points received from completing a Daily Mission, adds on to FPP earned from a contests entry fee. 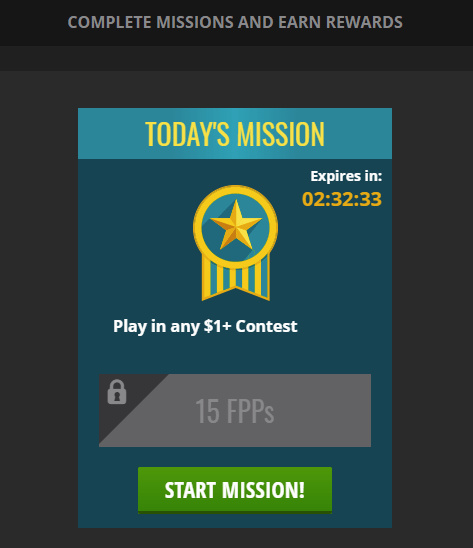 If a mission is to “Play in any $1+ Contest” to earn 15 FPPs, you enter a $1 contest you will earn 1 FPP from the entry fee and 15 FPPs for completing the mission. These are often Daily Missions and must be completed by Midnight EST/9:00 PM PST. Eventually you will accrue enough FPP to purchase tickets to enter paid contests and win win money payouts. Currently, 150 FPP with buy you a $0.25 Contest ticket. A $1 Contest ticket will require 550 FPP. 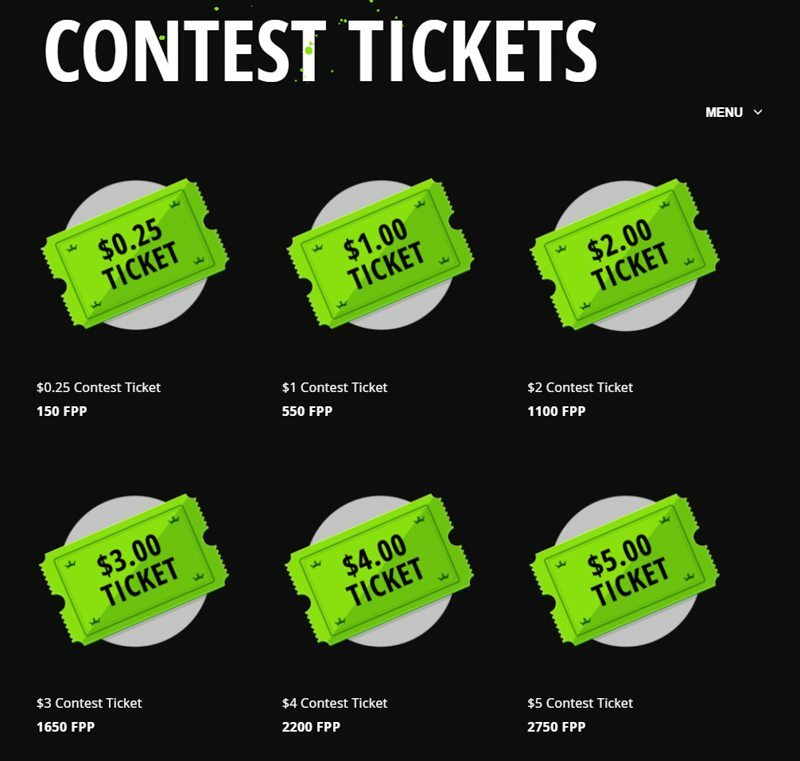 There are various contest tickets available to purchase from the DraftKings’ store. Read another review of the Draftkings promo code free play bonus at bonuspromocode.com.